Eva Svoboda is currently Deputy Director of International Law and Policy of the International Committee of the Red Cross (ICRC) in Geneva. 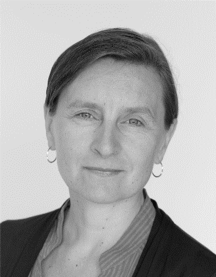 Eva worked with the ICRC from 1999 until 2011 in Kashmir, Sudan, Myanmar, Iraq, East Timor, DRC and Algeria as protection coordinator, head of office, head of sub-delegation as well as head of delegation. From 2012 until 2018 she was working as a Senior Research Fellow with the Humanitarian Policy Group (HPG) at the Overseas Development Institute (ODI) in London.